Brenda L. Baker, 77, of Tiffin, passed away Thursday morning, Aug. 16, 2018. She was born Nov. 10, 1940, in Loogootee, Indiana. She was the only child of Horace and Ruth Piatt of Shoals, Indiana. Survivors include her husband, Larry Baker of Tiffin; a daughter, Gayle (Scott) Lykowski of Walton, Kentucky; a son, Jeffrey (Patricia Snyder) Baker of Bentonville, Arkansas; a son, Nathan (Kristi) Baker of Hollywood, Maryland; a daughter, Andrea (Chris) Clements of Lambertville, Michigan; and seven grandchildren, Lauren Fedyszyn, Justin Lykowski, Caleb Baker, Regina Baker, Sloan Walland, Ian Walland and Emma Baker. Brenda graduated from Shoals High School in Indiana and attended Indiana University. She loved watching Indiana University basketball and was proud to be called a Hoosier. 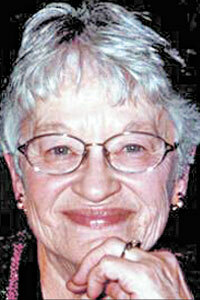 She later graduated from Heidelberg College and loved her job working at Beeghly Library. She enjoyed opera, classical music, reading, English history and visual arts. Her family, adventures in traveling coast to coast in the motor home and world travels were the highlights of her life. Friends may visit with the family 1-4 p.m. Sunday, Aug. 19, 2018, at Hoffmann-Gottfried-Mack Funeral Home & Crematory, 236 S. Washington St., Tiffin, OH 44883, (419) 447-2424. Her memorial services will begin at 11 a.m. Monday, Aug. 20, 2018, at First Presbyterian Church, with the Rev. Katie Treadway officiating. There will be no burial at this time. In lieu of flowers, memorial contributions may be made to First Presbyterian Church or Friends of the Library, Tiffin-Seneca Public Library, 77 Jefferson St., Tiffin, OH 44883.